Support of Wimbledon; A New Standard? The grass tennis courts at the All England Lawn Tennis Club, or better known as Wimbledon, were in the sports headlines last week. Some players exiting early to defeat took some parting shots at the slickness of the courts. 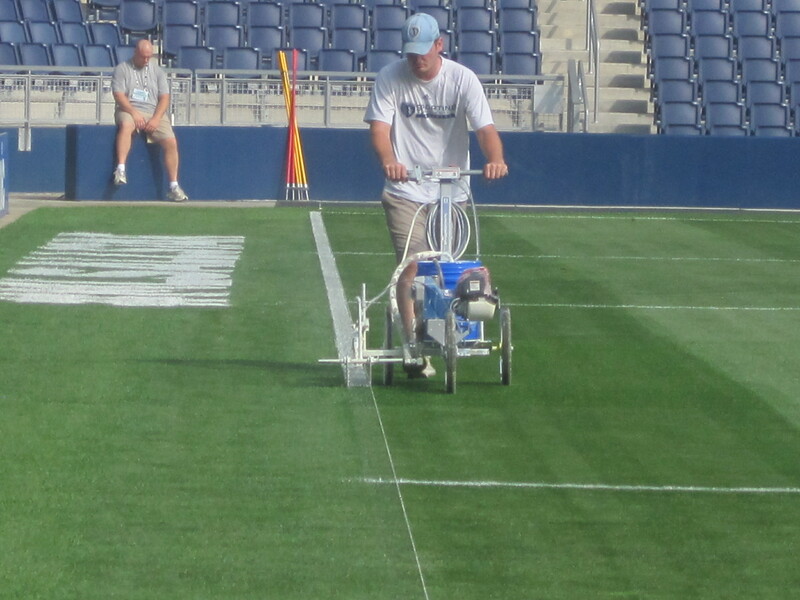 The rebuttal, support, and the education about grass that followed those negative headlines reached a standard never seen before in grass sports surface maintenance. London, UK: “There has been a high number of withdrawals at The Championships today and we sympathise with all the players affected. The withdrawals have occurred for a variety of reasons, but there has been some suggestion that the court surface is to blame. We have no reason to think this is the case. Indeed, many players have complimented us on the very good condition of the courts. The “factual evidence” that Mr. Lewis is referencing comes from a strict and regular testing program that the Wimbledon Grounds Department is on in conjunction with the Sports Turf Research Institute (STRI). The testing data allows the Wimbledon to ensure the courts are consistent and prepared every day for their own players and for the players at the Championship. Then following the Wimbledon CEO statement, the Institute of Groundsmanship (IOG) also issued a statement. “The highly-professional and experienced All England Lawn Tennis Club (AELTC) grounds management team works year-round preparing the world-renowned Wimbledon grass courts with the Championships very much in mind – as the annual showcase of playing surfaces that represent the ultimate in top-class playability as well as appearance. “The considerable expertise of the AELTC grounds management team is underpinned by a multi-million pound turf care industry where companies spend many years developing high-performance turf grass seed specifically for sport. Alongside this, the very best in turfcare machinery and equipment is also on hand to ensure that by the time the tournament starts the courts are in the very best condition possible. Then in what has to be a completely unprecedented move by Mr. Geoff Webb, IOG CEO, Mr. Webb. went on CNN News to discuss the facts with the general public about what was happening at Wimbledon. Mr. Webb also reiterated the professionalism, the specialization, and the meticulous nature of the Wimbledon Grounds team (and all grass sports surface managers for that matter). WATCH: Why is Wimbledon so slippery? The Wimbledon Grounds team received much and well deserved credit last year as they set a new standard for quality with keeping the courts immaculate through the Championships followed by the Olympics only 16 days later. 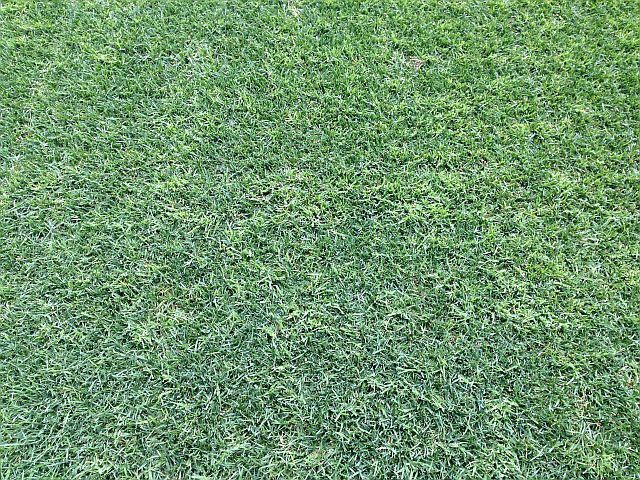 As the Wimbledon Championships wrap up this weekend for this year, they have done yet another miraculous job of proving that grass CAN take more. And inadvertently they have created yet another new standard of support and education about the specialization of the natural grass sports surface industry. Kudos to them for another job WELL DONE… and kudos to all those who supported them with facts and education about the possibilities of natural grass. 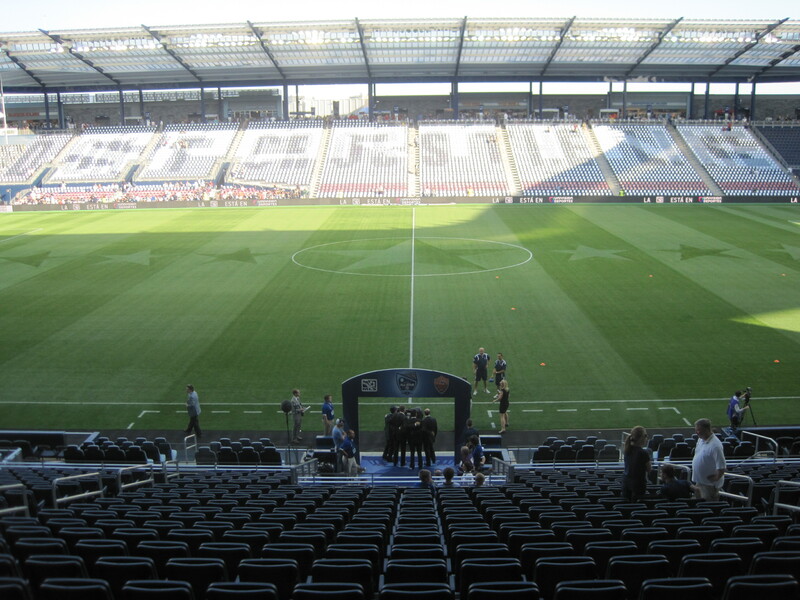 Recently there have been several high-ranking officials/ executives in soccer making statements about synthetic being the “cheaper alternative” to natural grass. 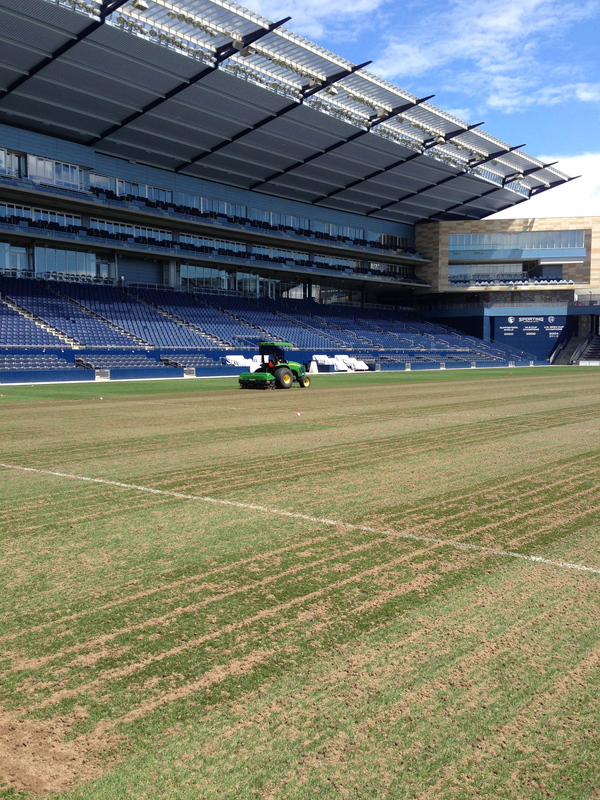 So it is becoming the overall belief that synthetic is cheaper than natural grass…. THAT ABSOLUTELY IS NOT TRUE. 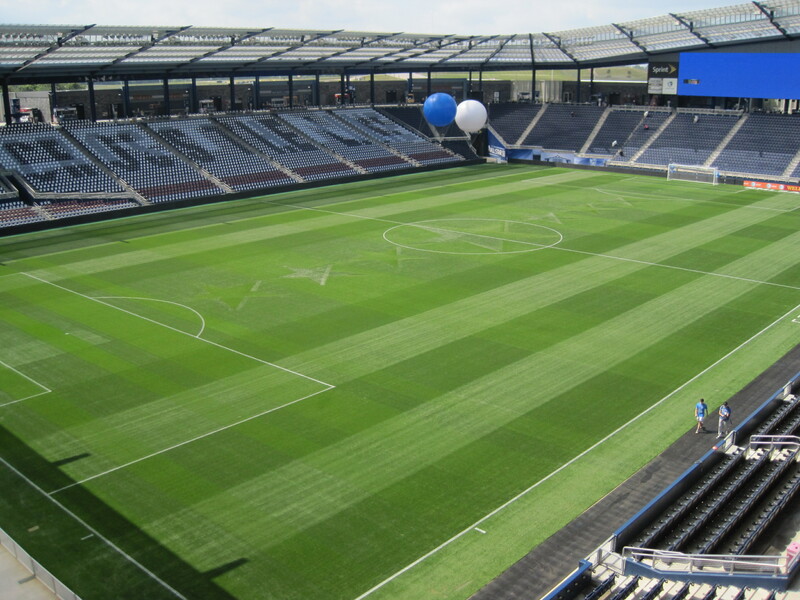 Yes, it is no secret where this blog stands on the issue of natural grass v. synthetic turf. 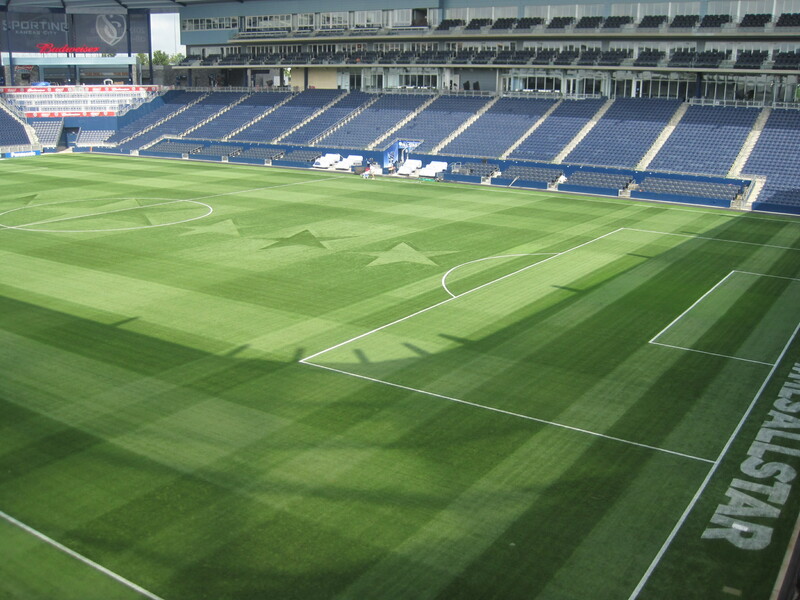 Specialized sports field managers around the world are creating new ways for natural grass fields to sustain increased traffic almost every day. And we continue to stand by the idea that in 5 years, natural grass will provide a high traffic option to match synthetic turf. But at no point has the blog made statements that are not based in fact, nor have we denied that synthetic turf IS an excellent tool for extremely high traffic situations (over 1000 hours in the north, over 1500 hours in the south), for situations w/ space demands (high schools, inner cities, etc) , or for indoors. Synthetic turf sometimes is recommended. At the professional level, the break even cost of grass v synthetic over 10 years is nearly equal. Certainly much debate is around synthetic being able to sustain higher amounts of concerts, monster trucks, etc. But with these multiple events, synthetic fields are failing at higher rates as well. And their replacement cost is much higher than grass field replacement costs. Things like heat and grow lights increase grass costs, but extra padding and heat for frozen synthetic adds equal costs. So ultimately, the comparison is even. 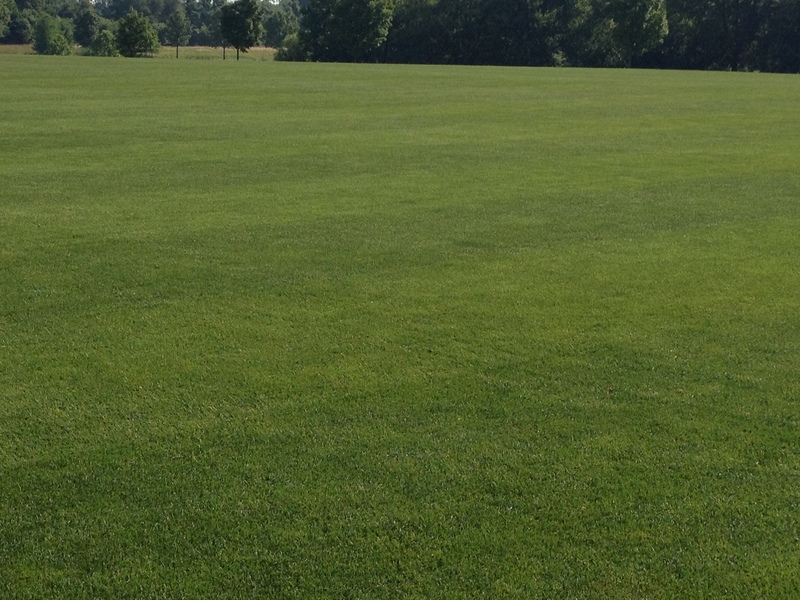 However, for grass fields, the cost numbers for maintenance decreases exponentially when additional fields are added. 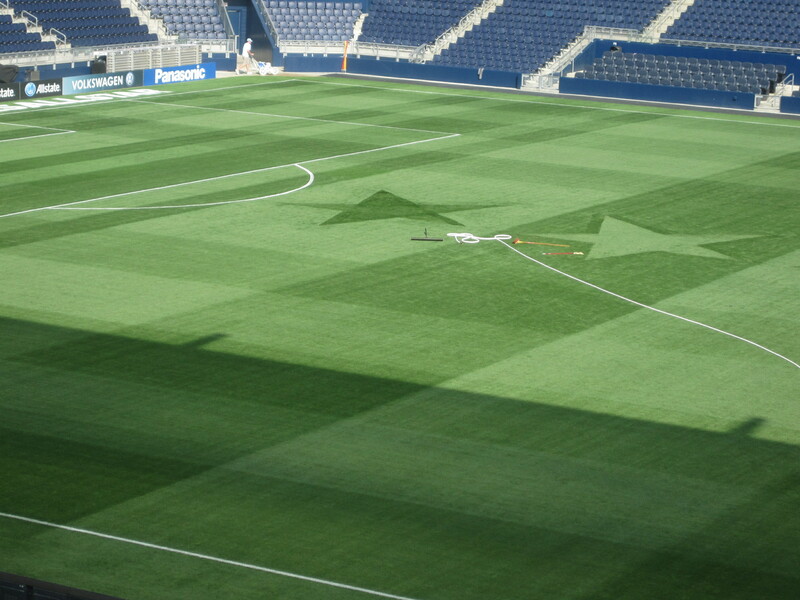 Even just 1, full time/ skilled Sports Field Manager can maintain multiple fields. The equipment fleet for 1 field can maintain multiple fields as well. Thus these numbers drop quickly when more fields are added. So for a professional stadium w/ a practice facility having staff and equipment that are shared, the cost drops quickly. Yet clubs have $1.7 million to invest over 10 years to convert an already existing field to synthetic?? 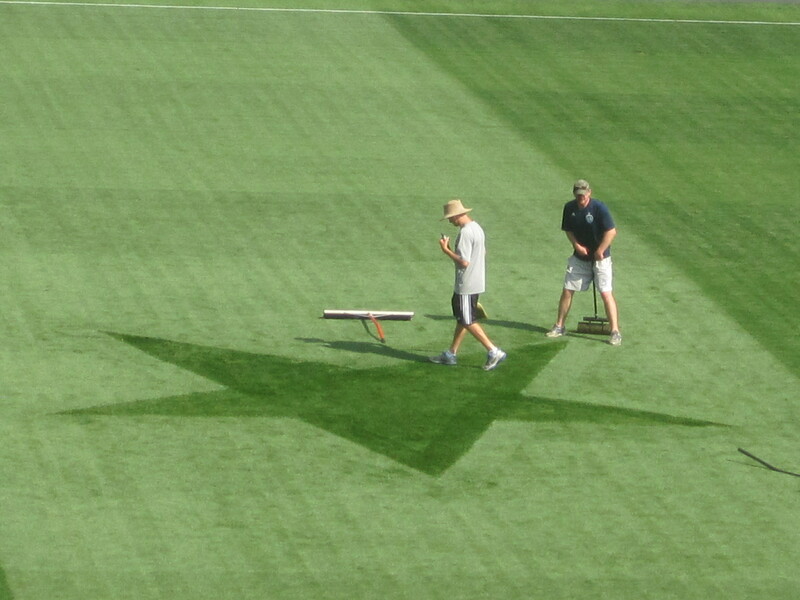 A “grounds crew fixing fields” could do ALOT with $170,000/ year!! The maintenance budget for a professional level sports field comes in at only $115,000 for labor and supplies for a single field. A well paid grounds crew of 2 could maintain 3-5 fields at a higher level than they are currently being maintained with that $170,000. 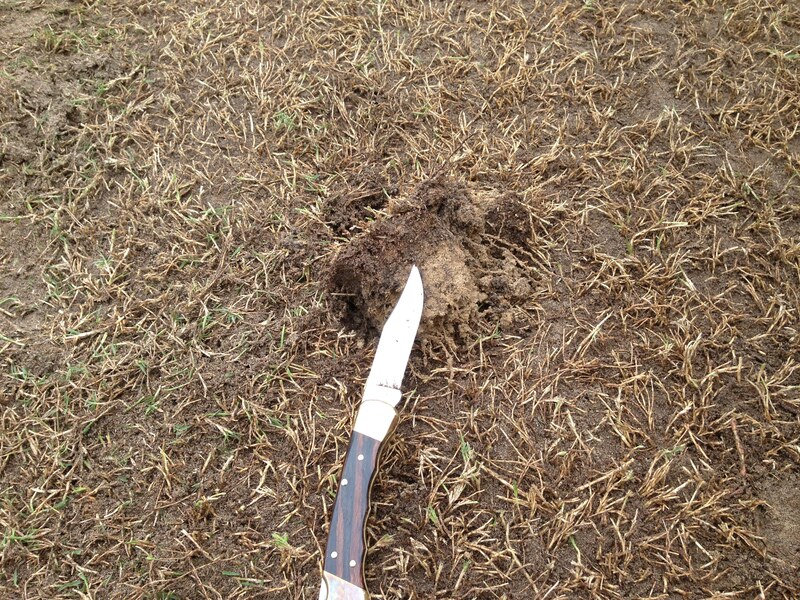 And ultimately, cheaply built/ native soil fields are being compared to million dollar synthetic fields. Not an equal comparison. 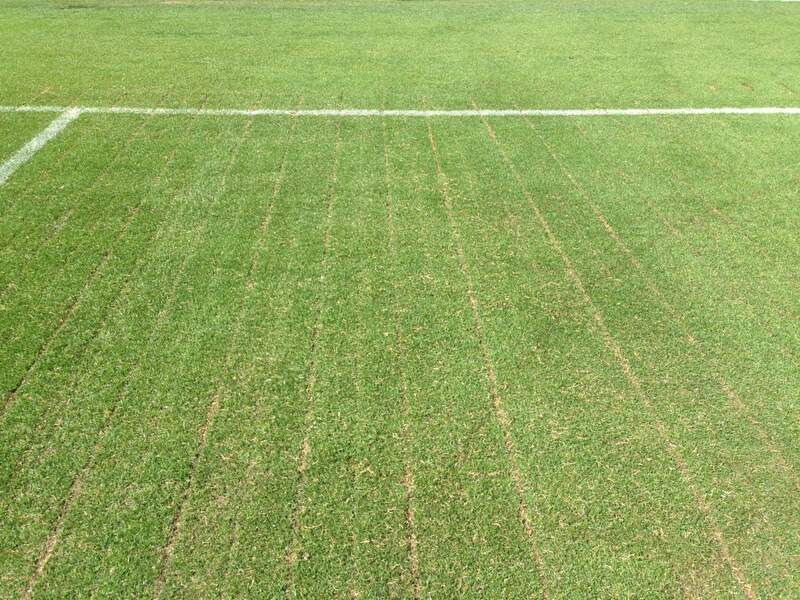 As we look at the facts, synthetic v. grass is not a debate about money. It ultimately is about high traffic and space. Synthetic turf is an excellent tool for high traffic situations, it absolutely is needed. But synthetic is NOT the “future of soccer” as recently stated even by a National Team coach. 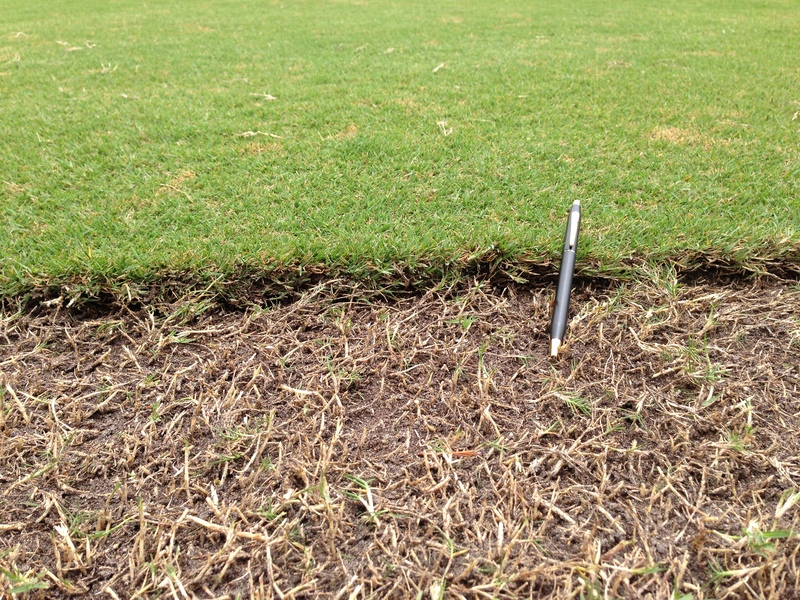 Clubs are businesses 1st, and grass is the more efficient $$ answer. Especially when a specialized Sports Field Manager is involved working diligently to save the club money and produce the best grass fields possible for the lowest cost. 1) How Am I Educated to Address This So Directly & Boldly? I, Jerad Minnick, (the author of this post) am one of a handful of sports field managers in the world that have built from the ground up and maintained both grass and synthetic fields. I have, and I will continue, to make recommendations and consultations on the need for both grass and synthetic fields in situations that warrant. These numbers are conservative & factual. *: 10″ sand profile, drainage, irrigation, sodded. 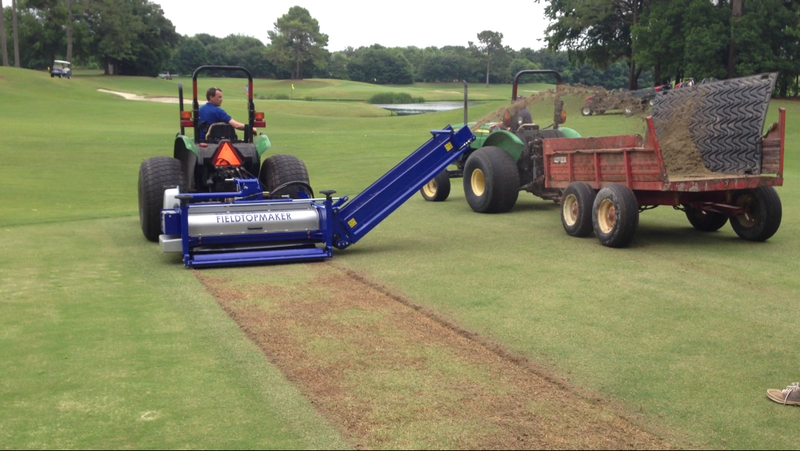 *: equipment for grooming, infill, minor repairs, etc. Maintenance is simple. *: Part time, non skilled labor for clean up, set up, etc.